The Feed The Need Project — Provision Lab, Inc.
in our communities struggle with knowing when their next meal will be. Provision Lab and our Action Partners are working together to bring a mobile pantry to the local communities in order to provide food to these families in need. We are calling this the The Feed The Need Project and it will be able to feed hundreds of families every month. A partnership with Northern Illinois Food Bank means we will be able to bring a mobile food pantry to the local communities each month. 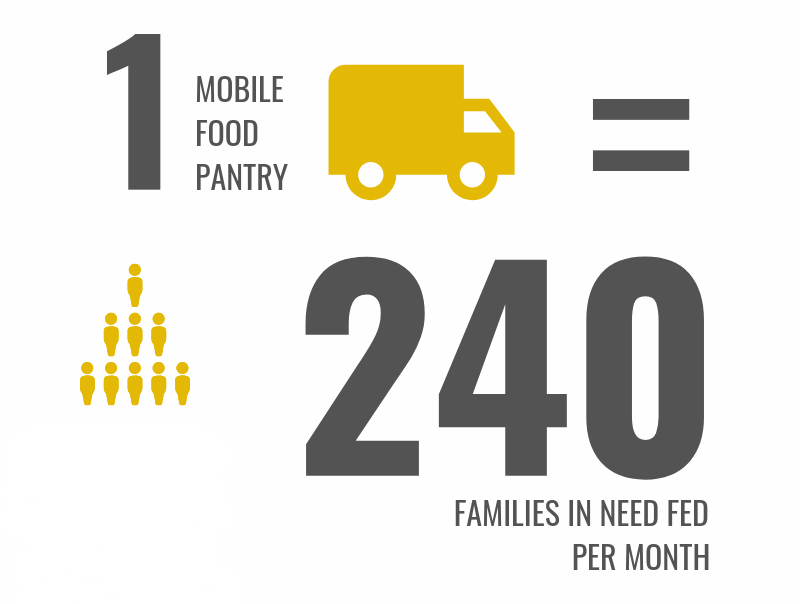 That one pantry is capable of feeding over 240 families. Each food pantry is ran be a trusted network of volunteers and funded solely from public support. If you are looking to help feed the need, please click on one of the buttons below. Every $15 helps 3 families get the food they need for a month; however, any amount you can do is a huge help. And all funds raised through public donations will go directly to making this happen on a consistent month to month basis. Provision Lab would not be able to do what it does without incredible volunteers who are inspired to be the change in their communities. Watch what has inspired them and what impact Provision Lab has had on their lives. Watch the trailer or watch each of the full interviews below.